Opening an account on MBS website is easy. Simply click My account and complete the details requested. With an account, when you place an order, you will just be prompted to log-in with your email address and password. An account offers you a safe, easy and fast way to order. It also serves as a way to track your order and receive status update emails for your order. MBS wishes to remind all customers that an account should be created with a "real name", a name that appears on a government-issued identity card, passport or driving license. This is solely for mail collection purpose. If the receipient of an order was absent or unable to accept attempted deliveries by the Post Office, the receipient will be required to collect the parcel from the post office. The post office will only release the parcel to the receipient upon a valid proof of identity. If the order is returned to MBS shop, the customer would have to bear the postage for forwarding / re-delivery of the parcel. This email confirms that the checkout process has been completed and your order is now pending in our system. Your order is shown in the My Orders of your account. This email confirms that we have received your order but the transaction is pending approval by PayPal. Payment approval may take 24-48 hours. This email informs you that credit card payment has been authorized and the item is being packed or manufactured. Orders are usually shipped within 3-5 business days upon approval of credit check, but could sometimes be 8-14 days if the purchased item is not in stock or has to be manufactured, in which case you will be notified by email. This email confirms that your order or part of your order has been shipped. You may receive multiple emails depending on the items you selected, or if you ordered multiple items and they were shipped separately. The arrival time of your order depends on the item ordered and your shipping location. There are a few reasons why you would receive this email, including matters in need of your attention, difficulty in processing your order, inability to ship to the address provided, duplicate order, or items ordered not available. Should you receive a notice like this, please reply us immediately so the problem can be addressed. Check the status of your most recent orders by visiting the My Orders page. This is the easiest and fastest way to get the most current information regarding your orders. Please note that immediately after you placed an order, order information may not appear on our order tracking system for up to 2 hours. When you click on My Orders you will be prompted to log in with your email address and password. An order summary page will provide you with detailed information about your current order or past orders. After your order is shipped, your order status and tracking number (if available) will be displayed. The status of your order is available in My Orders almost immediately after you place an order and is automatically updated each time your order moves a step further in the process. Some orders may contain items that are shipped separately by different carriers and/or shipping methods; the individual item status for orders that are shipped via multiple methods is also available in My Order History. The status of your order is supplied by MyBadmintonStore.com, and represents what is happening with your order between the time you place it and the time it ships from our warehouse. Once your order leaves our warehouse, it is handled by a posting agent or courier company (such as the Post Office, FedEx, or UPS) that may provide tracking information until your order is delivered. The tracking information is accessible from My Order History on our website when it becomes available. At our warehouse, tracking numbers are assigned to packages almost immediately and generally appear on our website along with your order information. However, it may take up to 48 hours or longer before the package is recorded into the carrier's tracking system. That means eventhough your package has already left our warehouse and is on its way to you, the carrier may not be able to provide any information about your package for up to 48 hours or more. 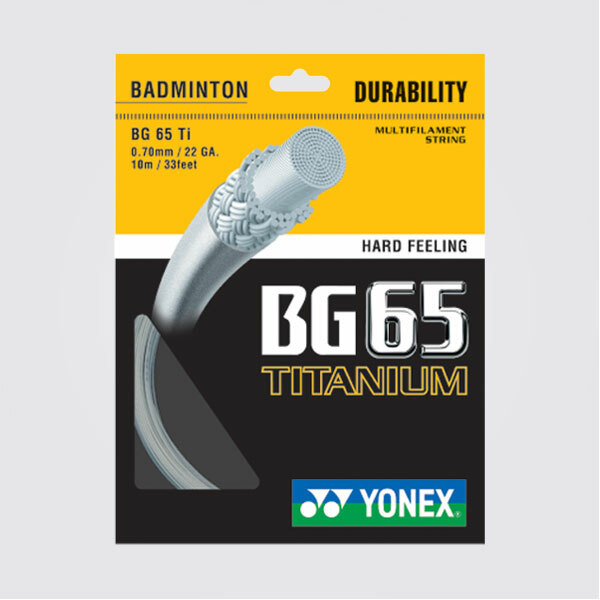 Orders placed on mybadmintonstore.com may be delivered by one of several different carriers and shipping methods. Therefore, tracking availability may vary depending on the type of item you purchased, the shipping method you selected during Checkout, and the carrier that is delivering your item(s). Occasionally, orders are delivered via a carrier that does not or only partially offer the ability to track a package. In these instances, My Order History in MyBadmintonStore.com will not offer tracking information, but will still offer order status and other details. An email address is required to login to your MBS account. You will receive emails through this email address therefore keeping you up-to-date with the status of your order. 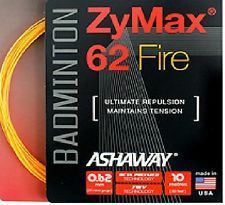 Sign in for My Order History at MyBadmintonStore.com 24 hours a day. You may view information about your most recent orders (including tracking information) as well as past orders. Delivery of your items can take anywhere from five to ten full business days depending on your location. When your order is delivered you should immediately inspect the carton for any potential damage that may have occurred during shipment. Carefully inspect the packaging as well as the contents of the package. It is normal for the carton to show some wear; however, if damage did occur, accept the package and contact us immediately by email. Failed credit check by PayPal or by MyBadmintonStore.com. If your order is cancelled, you will receive an important notice regarding your order via email which will explain the reason for the cancellation. If an order, or part of an order, is cancelled by PayPal or by MyBadmintonStore.com for failing credit check or insufficient stock, you will not be invoiced for the whole or part of the cancelled order. Any payment made will be fully refunded. If an order, or part of an order, is cancelled by request of the customer (change of mind), the refund of payment would be subject to a deduction of 10% being administrative charge for cancellation. If you are interested in alternative products, please contact us by email for a recommendation.